Monodispersed CoPt alloy nanoparticles were synthesized by a pulsed laser ablation (PLA) technique coupled with a low-pressure operating differential mobility analyzer (LP-DMA). The CoPt alloy nanoparticles were generated by laser ablating a solid Co–Pt target. 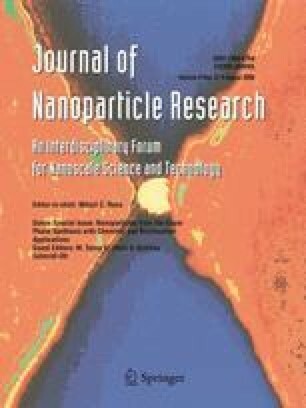 In CoPt alloy nanoparticles synthesized from a target with a Co composition of 75 at%, the nanoparticle surfaces were covered by an oxide layer and exhibited a core-shell structure. In contrast, no shell was observed in particles generated from a target with a Co:Pt ratio of 50:50 at%. According to an EDX analysis, the compositions of the individual nanoparticles were almost the same as that of the target material. Finally, the magnetic hysteresis loops of the CoPt alloy nanoparticles exhibited ferromagnetism. This study was supported in part by the New Energy and Industrial Technology Development Organization (NEDO) under the Nanotechnology Materials Program.